As a Dual-Certified Specialist in Workers' Compensation and Immigration Law, Attorney Jacobson is uniquely qualified to handle catastrophic orthopedic and neurological work-injury cases, and complex employment and family-based immigration matters. Los Angeles Attorney Nikki Mehrpoo Jacobson, a Partner at The Jacobson Law Firm, LLP, will speak at the State of California Division of Workers’ Compensation’s 26th Annual Educational Conference. The DWC Annual Educational Conference is the largest workers' compensation educational event in California for Division of Workers’ Compensation. This educational conference is held over two days in both Northern (Oakland) and Southern (Los Angeles) California and has many informative workers’ compensation panels. Speakers from the Division of Workers' Compensation and the private sector will address the most current topics and issues confronting claims administrators, medical providers, attorneys, rehabilitation counselors and others involved in workers' compensation. The topics for the educational panels include: Apportionment, Getting Your Settlements Approved by the WCAB, Medical Treatment, Utilization Review, Independent Medical Review, Disability Benefits and more. For the first time, the annual conference will present a panel on: “Women In Law & Business: Past, Present & Predicting the Future.” The panelists for program will be Paige S. Levy, Chief Judge for Division of Workers’ Compensation, Katherine Zalewski, Chair of the California Workers’ Compensation Appeals Board, Nikki Mehrpoo Jacobson, Partner at The Jacobson Law Firm, LLP and Yvonne Lang, Partner at Pearlman, Brown & Wax LLP. As an attorney and businesswoman, Ms. Jacobson will share her personal and professional experiences as a workers’ compensation lawyer. In addition, she will discuss current and future issues affecting women in law and business. Attorney Jacobson is a Dual-Certified Specialist in Workers’ Compensation and Immigration Law by the State Bar of California Board of Legal Specialization. 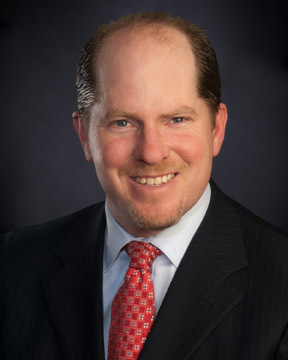 As a dual-certified specialist, attorney Jacobson is uniquely qualified to handle catastrophic orthopedic and neurological work-injury cases, and complex employment and family-based immigration matters. She has developed a special niche in the cases where her clients’ immigration status and employment matters intersect. For example, these cases can involve workers who are victims of a crime at work, or who are undocumented and have suffered work injuries. From her commitment to immigrants and injured workers for the past 21 years, especially as a litigator, legal analyst, educator, mentor and advocate, Ms. Jacobson inspires many women in the legal profession. In addition to being an attorney, Professor of Law, Certified Specialist and LGBTQ ally, she is the founder of WOW - Women of Workers’ Compensation, an amazing community of women on and off of Facebook who work in the workers’ compensation field. WOW’s members include, female judges, attorneys, doctors, claims examiners, adjusters, insurance representatives, interpreters, etc…. This group serves women in many ways, including networking, referrals, support, mentorship, education and much, much more. Ms. Jacobson is a 1997 graduate of Pepperdine University School of Law and a member of the California State Bar. 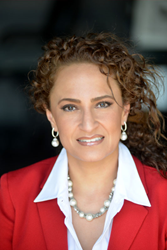 Ms. Jacobson is a nationally and internationally recognized speaker, legal analyst, media commentator, expert witness, lobbyist and legal consultant in immigration and workers' compensation law. She regularly shares her valuable insight with the media and reporters from Billboard Magazine, France 5 TV, KIRN Radio 670 AM, Danish Newspaper Ekstra Bladet, as well as Business Insurance, WCAuthority.com and WorkersCompensation.com, analyzing high-profile immigration and workers’ compensation cases, court decisions and legal issues. Ms. Jacobson can be reached via email at Nikki@JLFAttorneys.com. You may also request a workers' compensation or immigration consultation at http://www.JLFAttorneys.com/consultation.